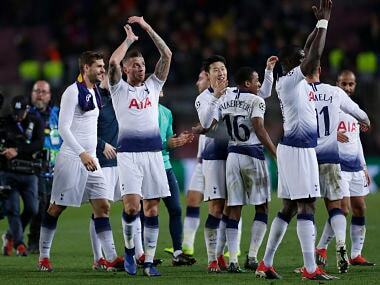 Barcelona: Tottenham captain Hugo Lloris said his side deserved to qualify for the Champions League last 16 after claiming a 1-1 draw at Barcelona on Tuesday. 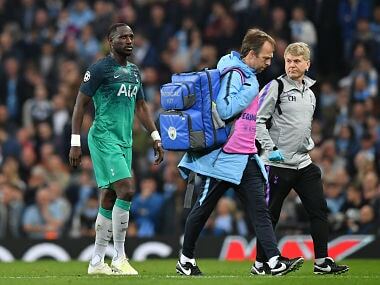 Spurs qualified for the next round at the expense of Inter Milan who could only match the English club's result at home to PSV Eindhoven. Barca took an early lead at the Camp Nou thanks to a stunning Ousmane Dembele effort before Lucas Moura's 85th-minute equaliser. "We did not win but we went through. That's the most important thing. The spirit was fantastic. We deserve it," Lloris told BT Sport. "We had the help of PSV it's true, it was difficult after the early goal but we stuck with our principles and played a very good performance." 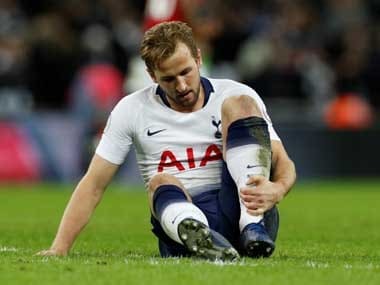 Striker Harry Kane praised his side's patience against the La Liga champions who had left five-time Ballon d'Or winner Lionel Messi on the bench. "We had quite a few chances, it just wasn't going in but we carried on and got the goal back. We still carried on trying to score more," Kane said. Manager Mauricio Pochettino echoed both his forward and his skipper's thoughts. "I always believed it was possible to win the game. We fully deserved to go through with Barcelona. We were the best (two) teams in a difficult group."